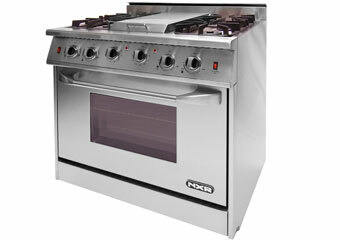 The NXR Stove is your chance to take advantage of a new global economy. 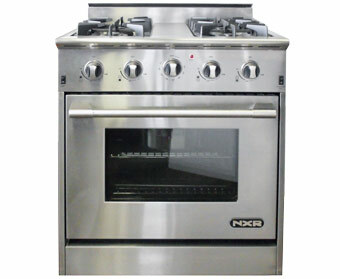 Assembled using high quality European and American components, NXR now makes it possible to get your hands on a Professional-Style performance stove for a reasonable price. It is a fine alternative to competitors offering useless features like digital read-outs and computer circuit boards that require expensive repairs or disposal. 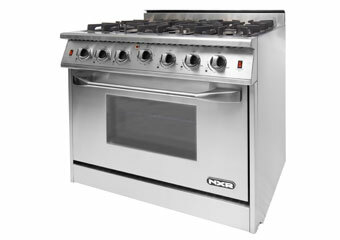 A Leading Consumer Reports Magazine recognizes NXR Professional Range among the top Pro Range brands! 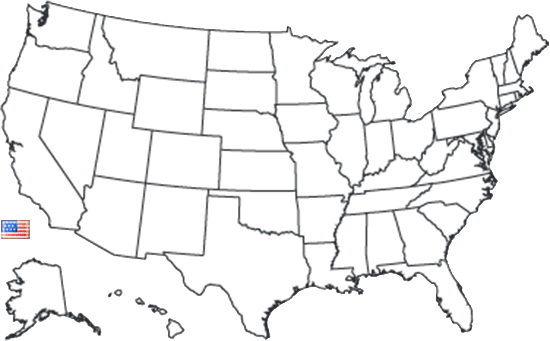 Oregon Resident Instant Savings » | West Coast Special on 36" NXR Ranges! 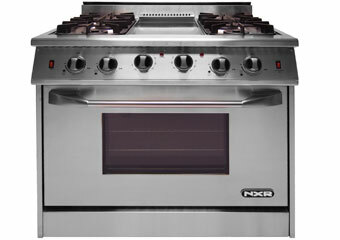 The NXR 30" Professional Style gas range is the definition of cooking convenience. 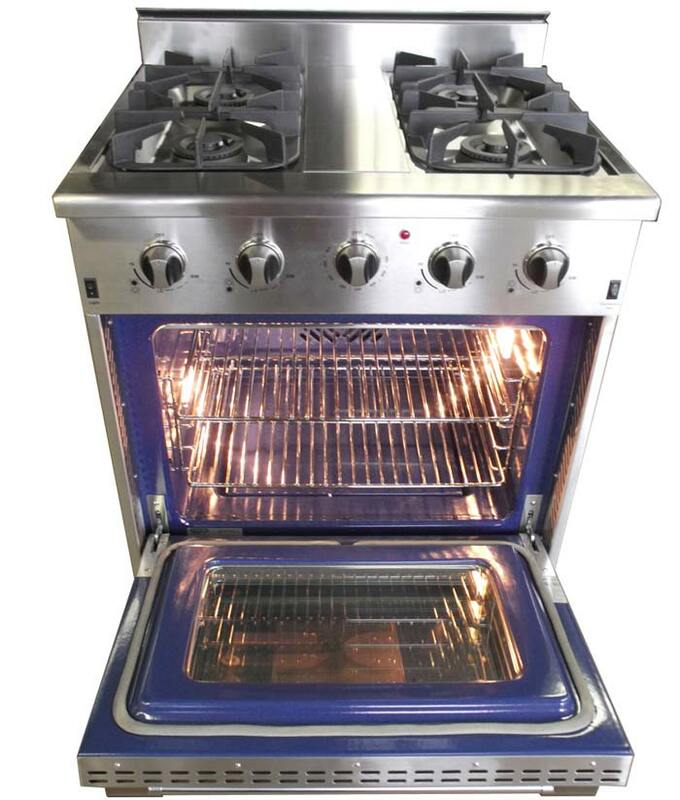 The range top comes standard with four 15,000 BTU sealed gas burners, complimented by heavy-duty cast iron cooking grates. 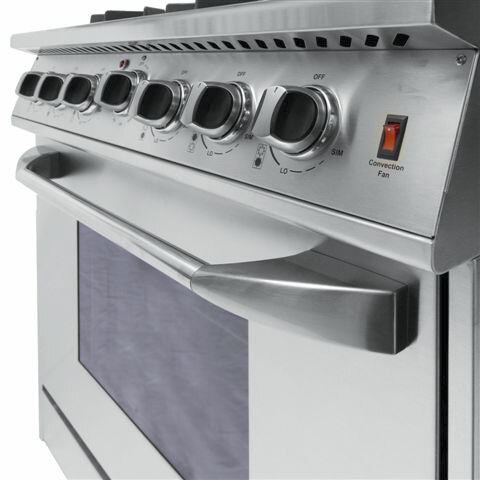 The spacious Easy Clean 4.2 cubic foot convection oven is equipped with a 16,500 BTU infrared broiler and 22,000 BTU oven burner. With all these features wrapped up in a stainless steel exterior, the DRGB3001 meets the highest standards of both quality and durability. Electronic Ignition with automatic re-ignition. Heavy-duty burners, ignitors, and gas valves made in Germany. 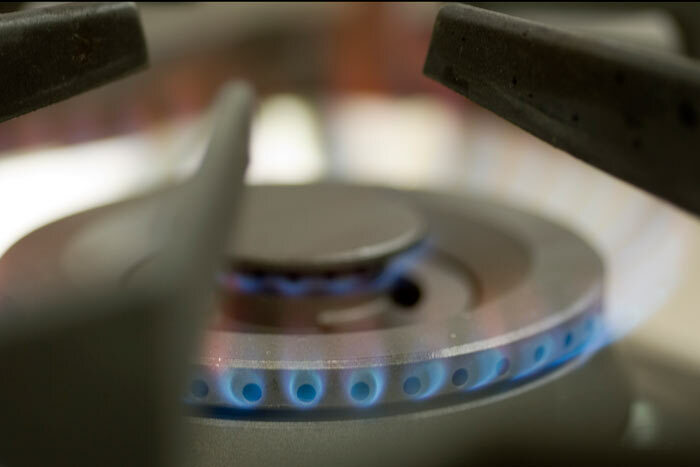 Natural Gas Fuel Type (DRGB3001). 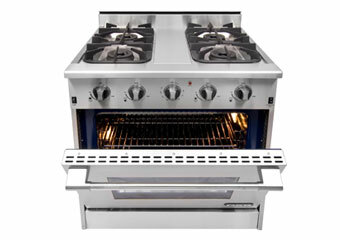 Model DRGB3001 may be seen at our Sausalito showroom. Coupon available. Free shipping to the contiguous USA (Curbside delivery included: lowered off of truck to ground floor level, does not include installation). Customers will be contacted to schedule a convenient Delivery Appointment time. 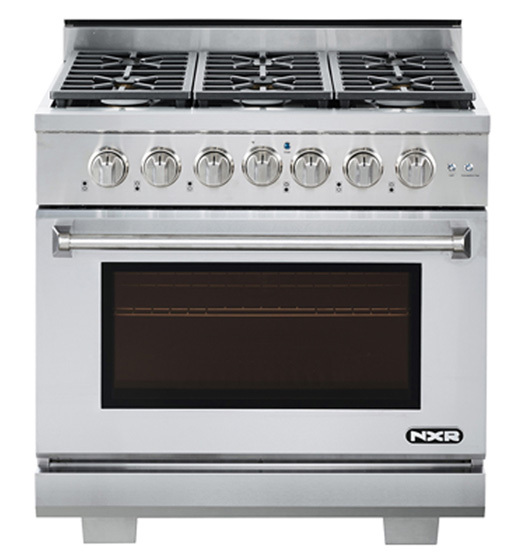 The NXR 30" Professional Style gas range is the definition of cooking convenience. 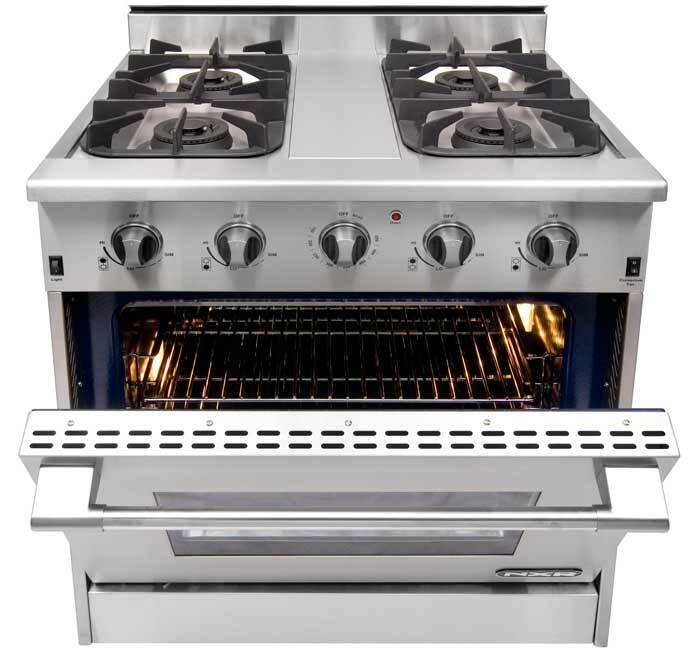 The range top comes standard with four 15,000 BTU sealed gas burners, complimented by heavy-duty cast iron cooking grates. 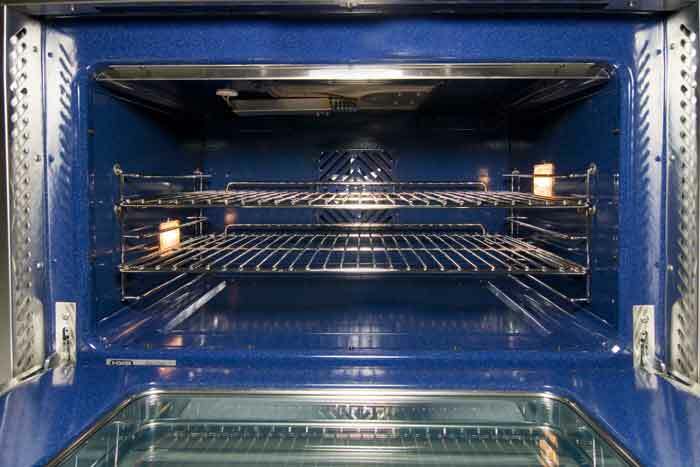 The spacious Easy Clean 4.2 cubic foot convection oven is equipped with a 16,500 BTU infrared broiler and 22,000 BTU oven burner. 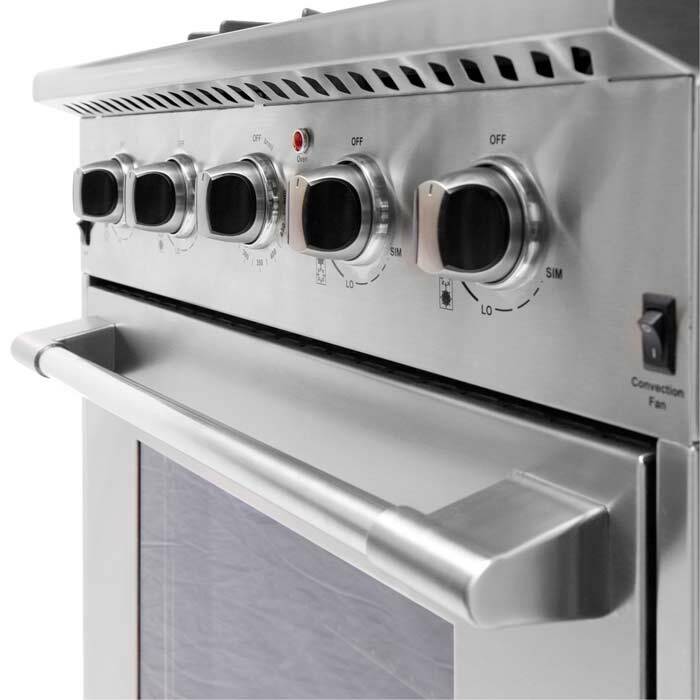 With all these features wrapped up in a stainless steel exterior, the DRGB3001-LP meets the highest standards of both quality and durability. Electronic Ignition with automatic re-ignition. Heavy-duty burners, ignitors, and gas valves made in Germany. Liquid Propane Gas Fuel Type (DRGB300-LP). Model DRGB3001-LP may be seen at our Sausalito showroom. Coupon available. 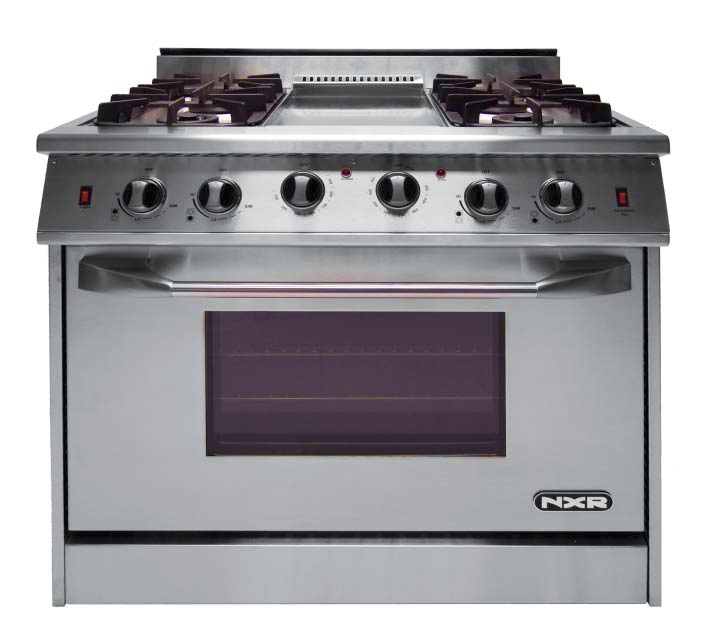 The NXR 36" Professional Style Gas Range is an excellent 6 burner range ready to become the centerpiece of your gourmet kitchen. 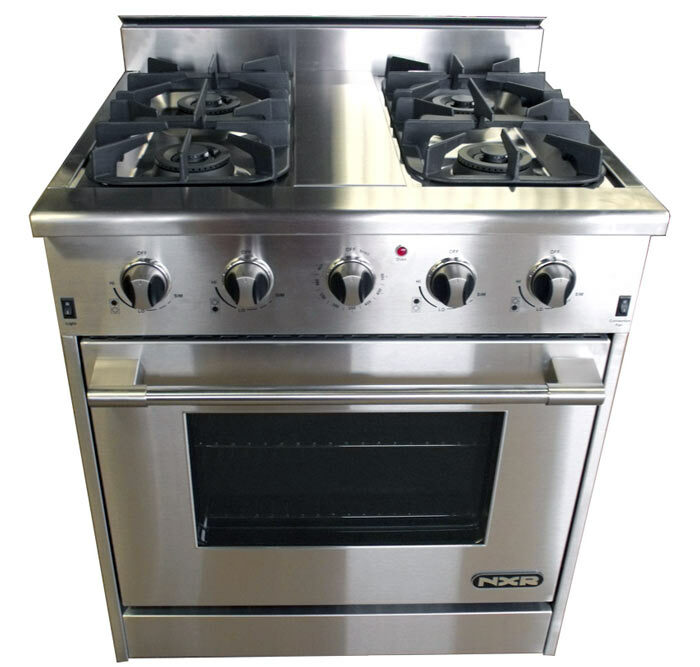 Constructed of all stainless steel and equipped with six 15,000 BTU sealed burners and 22,000 BTU oven burner, this range can handle all of your cooking needs. The Easy Clean 5.2 cubic feet of oven space is large enough for Mom’s Thanksgiving turkey, while the convection cooking system ensures a consistent cooking temperature. Electronic Ignition with automatic re-ignition. Heavy-duty burners, ignitors, and gas valves made in Germany. Natural Gas Fuel Type (DRGB3602). Coupon available. Special Offer Available. Natural Gas Fuel Type *Choose model AK3605-LP for propane gas fuel type. 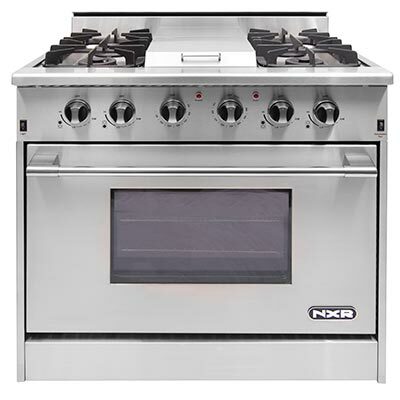 The NXR 36" Professional Style Gas Range is an excellent 6 burner range ready to become the centerpiece of your gourmet kitchen. 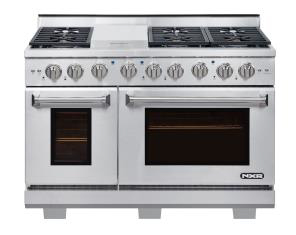 Constructed of all stainless steel and equipped with six 15,000 BTU sealed burners and 22,000 BTU oven burner, this range can handle all of your cooking needs. The Easy Clean 5.2 cubic feet of oven space is large enough for Mom’s Thanksgiving turkey, while the convection cooking system ensures a consistent cooking temperature. Electronic Ignition with automatic re-ignition. Heavy-duty burners, ignitors, and gas valves made in Germany. Liquid Propane Gas Fuel Type Model (DRGB3602-LP). Coupon available. Special Offer Available. Liquid Propane Gas Fuel Type *Choose model AK3605 for natural gas fuel type. 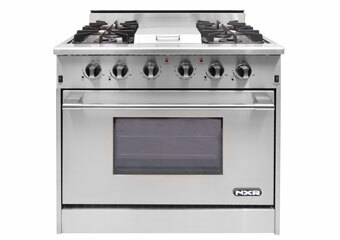 The NXR 48" Professional Style Gas Range is a high performance 6 burner range with griddle section that is ready to become the centerpiece of your gourmet kitchen. 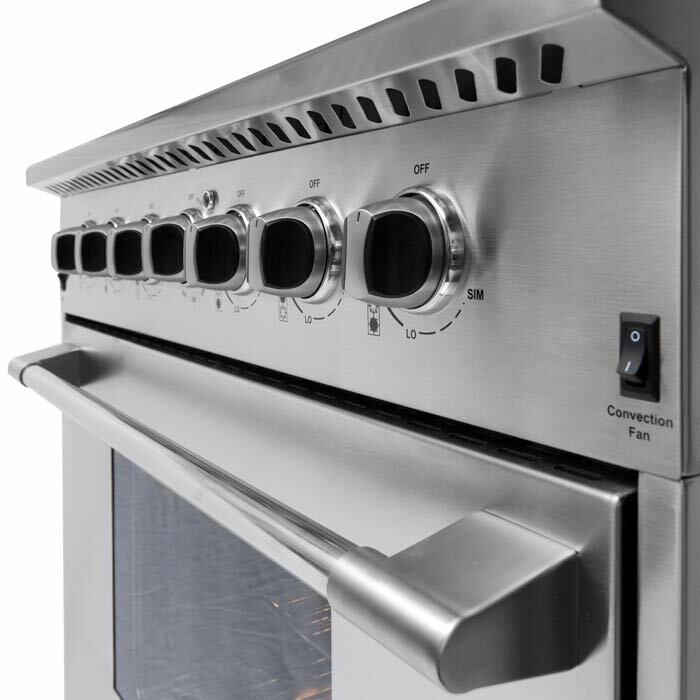 Constructed of all stainless steel and equipped with six 15,000 BTU sealed burners and two ovens, this range can handle all of your cooking needs. The Easy Clean 4.5 cubic feet of main oven space is large enough for Mom’s Thanksgiving turkey, while the convection cooking system ensures a consistent cooking temperature. 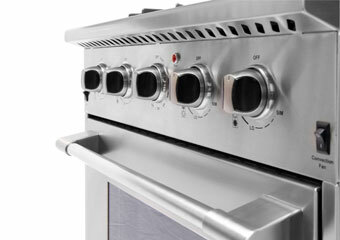 The second Easy Clean oven offers an additional 2.8 cubic feet of cooking space. Electronic Ignition with automatic re-ignition. Heavy-duty burners, ignitors, and gas valves made in Germany. Convection oven fan and motor are also made in Germany. Commercial grade oven door hinges are made in Italy. High Quality stainless steel exterior and stainless steel oven racks. 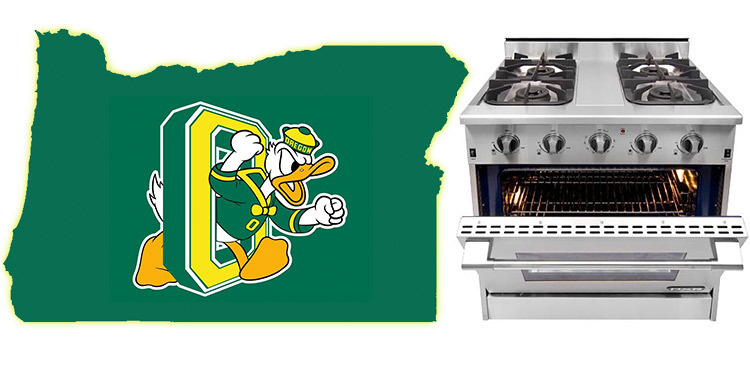 A roasting pan and accessories are also included. Coupon available. Natural Gas Fuel Type *Choose model AK4807-LP for propane gas fuel type. 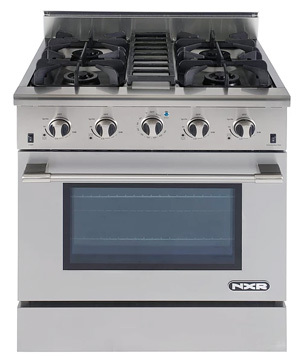 The NXR 48" Professional Style Gas Range is a high performance 6 burner range with griddle section that is ready to become the centerpiece of your gourmet kitchen. 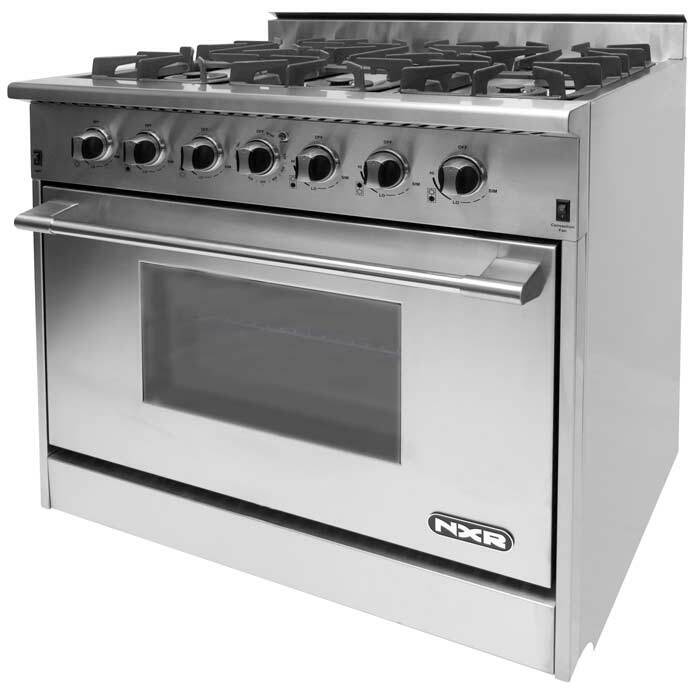 Constructed of all stainless steel and equipped with six 15,000 BTU sealed burners and two ovens, this range can handle all of your cooking needs. The Easy Clean 4.5 cubic feet of main oven space is large enough for Mom’s Thanksgiving turkey, while the convection cooking system ensures a consistent cooking temperature. 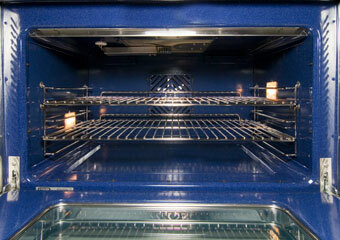 The second Easy Clean oven offers an additional 2.7 cubic feet of cooking space. Electronic Ignition with automatic re-ignition. Heavy-duty burners, ignitors, and gas valves made in Germany. Convection oven fan and motor are also made in Germany. Commercial grade oven door hinges are made in Italy. High Quality stainless steel exterior and stainless steel oven racks. A roasting pan and accessories are also included. Coupon available. 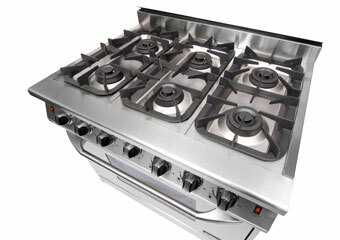 Liquid Propane Gas Fuel Type *Choose model AK4807 for natural gas fuel type. 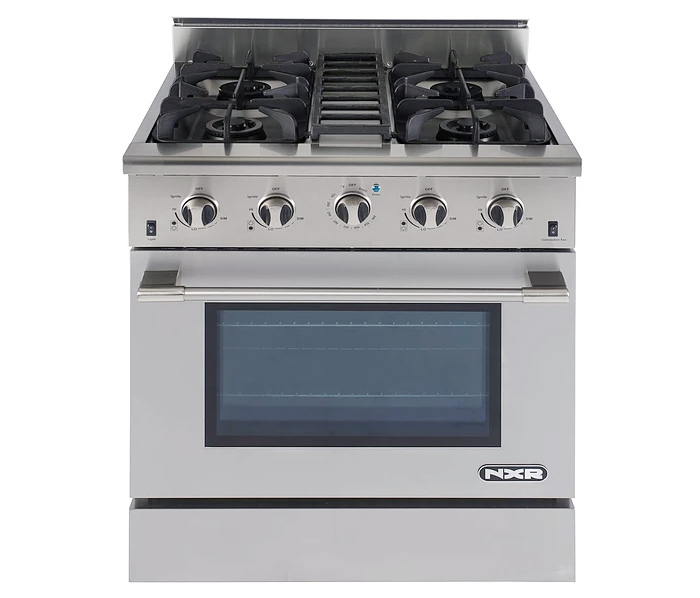 The NXR 36" Professional Style Gas Range with Griddle is all that you could ask for in the centerpiece of your gourmet kitchen. 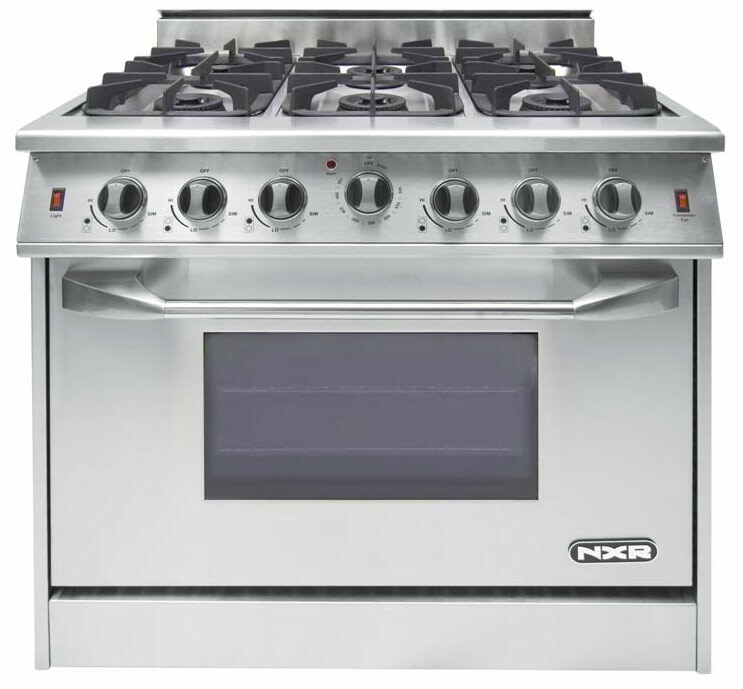 Constructed of all stainless steel and equipped with four 15,000 BTU sealed burners, center griddle, and 22,000 BTU oven burner, this range can handle all of your cooking needs. The 5.2 cubic feet of oven space is large enough for Mom’s Thanksgiving turkey, while the convection cooking system ensures a consistent cooking temperature. Electronic Ignition with automatic re-ignition. Heavy-duty burners, ignitors, and gas valves made in Germany. 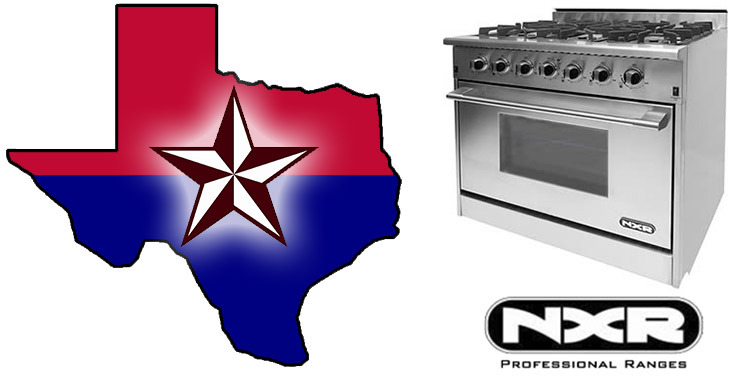 Our NRG series 36" Professional Style Gas Range with 6 open burners is styled with a tilted control panel and triangular oven door handle. 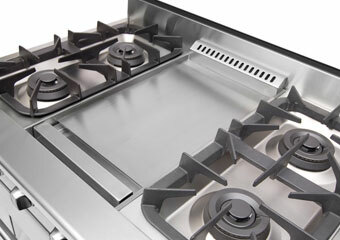 It is constructed of all stainless steel and equipped with six 15,000 BTU sealed burners and a 22,000 BTU oven burner. Along with the spacious 5.2 cubic foot oven, this range is capable of fulfilling all of your roasting and baking needs. Electronic Ignition with automatic re-ignition. 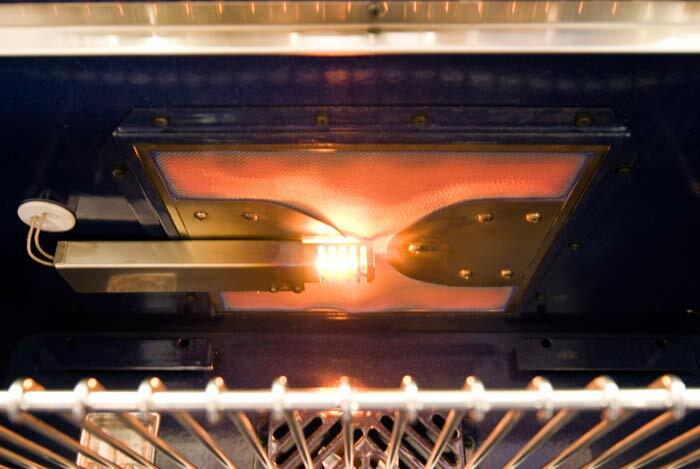 Heavy-duty burners, ignitors, and gas valves made in Germany. 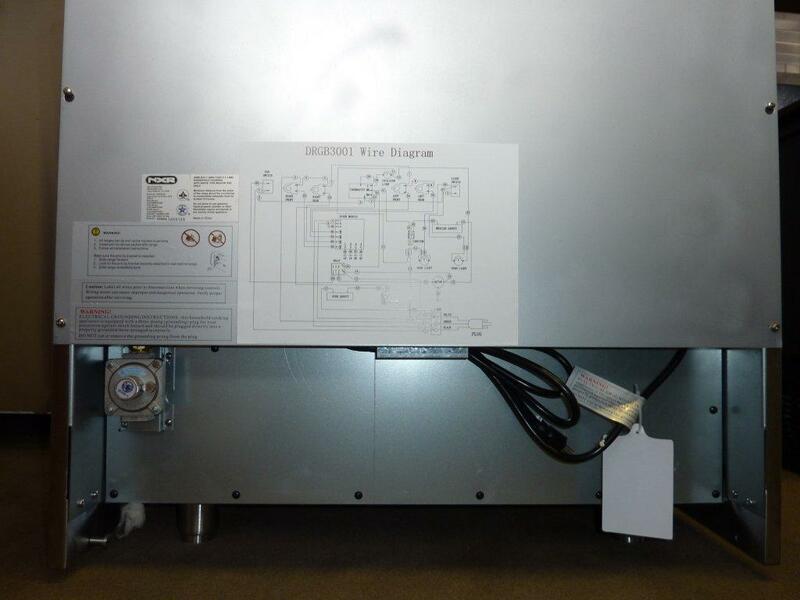 Or coupon code WSTCS36P for $120 instant savings on Propane/LP Gas model.